HOMER GLEN, Ill. (WLS) -- John LaRoy works as a bagger at the Jewel in Homer Glen - and he's making us Chicago Proud! On a Sunday afternoon, the 55-year-old LaRoy helped a regular customer, John Flemming, load his groceries into his car. Flemming asked if he could take the dedicated worker's photo to share on Facebook, so LaRoy stopped and posed with a big smile. 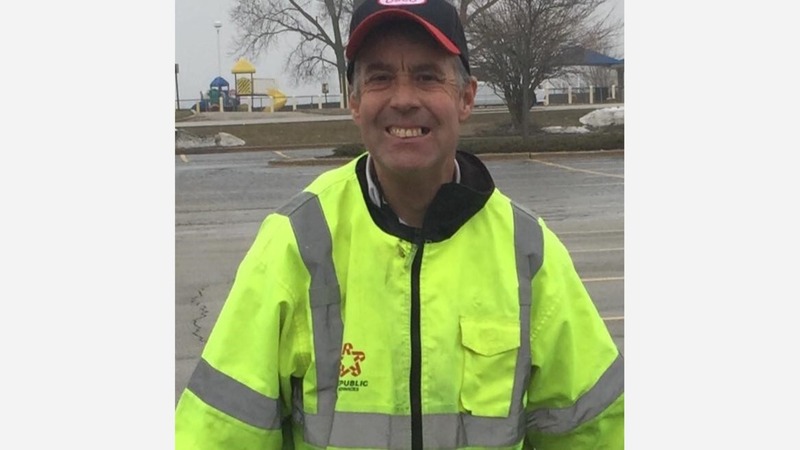 When Flemming got home, he posted LaRoy's picture on Facebook's Homer Glen Village Square community page with the heading, "Hardest working man in Homer Glen." The post took off, quickly reaching more than 1,500 people. LaRoy is a graduate of the Sertoma Centre in Alsip, which provides opportunities that empower individuals with disabilities to achieve personal success. Flemming told ABC 7 Chicago: "John is big part of our Homer Glen community. He does great work. He's dedicated to helping people. If you ever meet John, you'll never forget him. He'll run across the parking lot to help people and you just don't see that these days. I always knew John was a great guy - but I didn't realize the whole town of Homer Glen felt the same way."